We only stock & sell Dell Laptop Parts and we currently have over 250,000 Dell laptop parts in stock. Search for up to 200 Dell Part Numbers at one time using our Dell Multi-Part-Number-Search tool under advanced search (http://www.parts-people.com/index.php?action=advsearch). Send your Dell Laptop Repairs to us and save. 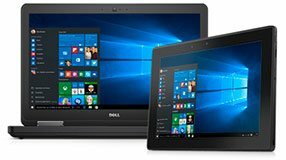 We specialize exclusively in Dell laptop computers, and stock all the replacement parts. If you are a computer repair shop you know it is very hard and to stock all the necessary parts to diagnose a Dell laptop because each model is different. Allow us to diagnose and repair all of your Dell laptops that you receive in for repair. We can repair these notebooks for you at a discounted price and fast. Save up to 20% off Parts, Labor, and Return shipping and also receive VIP express service which has a standard 2 day turn around. Sign and date printed out form and fax it to us using the cover page included in form. Once form is received we will contact you to finalize your B2B plan. For companies located in the state of Texas and request a tax exempt status, please fill out this tax exempt form and fax it to us. All sales out of the state of Texas are already tax exempt.